It’s important to understand why teens crash at a higher rate than adults. There are many factors that come into play, but there are several common critical errors inexperienced teen drivers make that lead to serious auto accidents. These include lack of scanning to detect and respond to hazards, driving too fast for road conditions, and being distracted by something inside or outside of the vehicle. Watch Paul on Midday Maryland discuss how teens dramatically increase their risk of getting into an auto accident. so he speeds. Speeding is a factor in 35% of crash deaths involving young drivers. The odds of Jack and his friends getting into a car accident are stacked against them. Jack also has to drop both Sofia and Matt off at their house, thus further increasing his chances of getting into an accident tonight. Let’s face it, our teens are connected to their phones. They spend more time “texting” each other than speaking. Whether or not we agree with it, this is their reality. So, when they get behind the wheel of a car, and we ask them to ignore their phones, it’s a far more difficult task than our generation can comprehend. Thankfully, Apps and software exist that allow parents to disable the cell phone features that cause teens to lose focus while driving. One app is called Cellcontrol. Designed for parents, Cellcontrol is a subscription-based service that features a device inserted under the dashboard and an accompanying app that blocks your teen from sending or receiving texts while driving. It also disables other phone features while the car is in motion, such as using email or accessing the camera. You’ll get a text or e-mail alert if Cellcontrol is deactivated or removed. 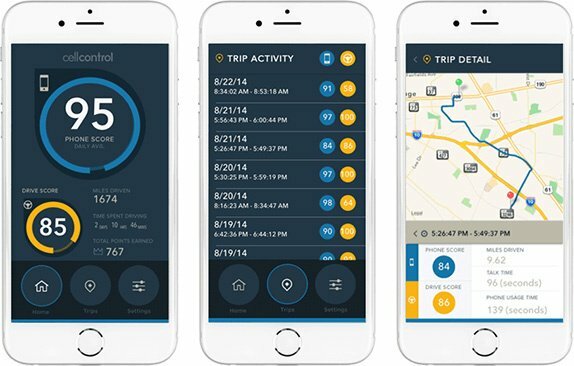 Another program called MOBI COPILOT is a dongle & app that allows you to track your teen driver in real time. The program will alert your cell phone or laptop with locations, speeds, routes and the time your teen spends at each of his/her stops. Tampering with the device the runs the system will immediately alert you. Teens don’t respond well to authority, but they are listening to what the adults in their lives say and watching what we do. Talk to your teens about your fears and concerns. Educate them on the dangers driving poses to themselves and others. Most importantly, you should never text and drive, drink and drive or talk on your hand held cell and drive! Your teens are “listening” to your actions more than they are listening to your words. With teens, you can’t “talk the talk” and then not “walk the walk.” If they see you break the rules, the rules will hold no sway over them. If your child was involved in an auto accident, contact us immediately.